This one’s for all the sustainability-minded couples out there. Do you care about environmental issues and reducing waste? 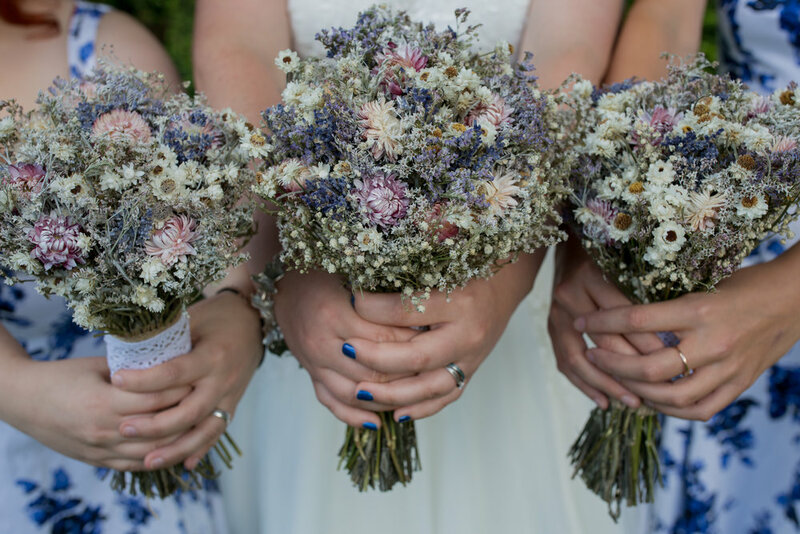 Looking for eco-friendly wedding tips for your big day? Then look no further! 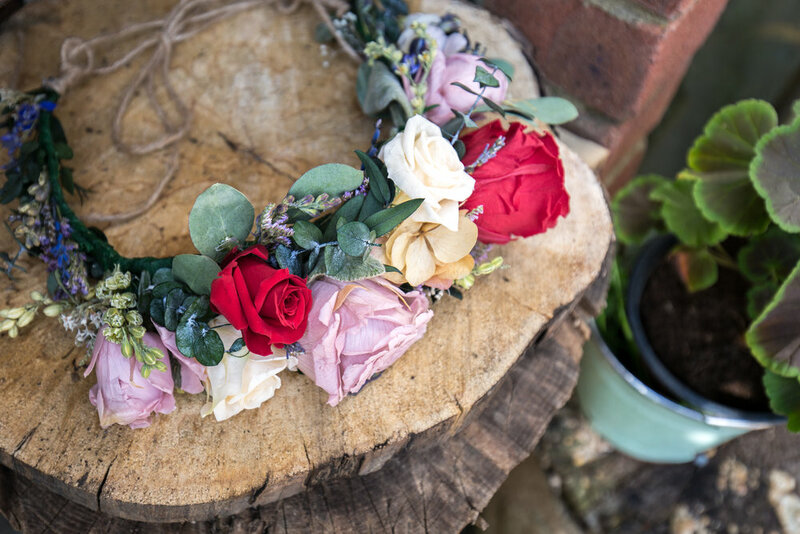 This blog combines a whole heap of green ideas that will help you to do your bit for the environment, to give something back and to lessen the potentially negative impact of your wedding day. Invitations – consider sending e-invitations or using recycled, eco-friendly materials like seed paper. Check out The Natural Wedding Company for suppliers & other eco wedding ideas. Flowers – there are so many alternatives to flowers, like Folky Dokey’s amazing preserved flower creations which will last a lifetime. 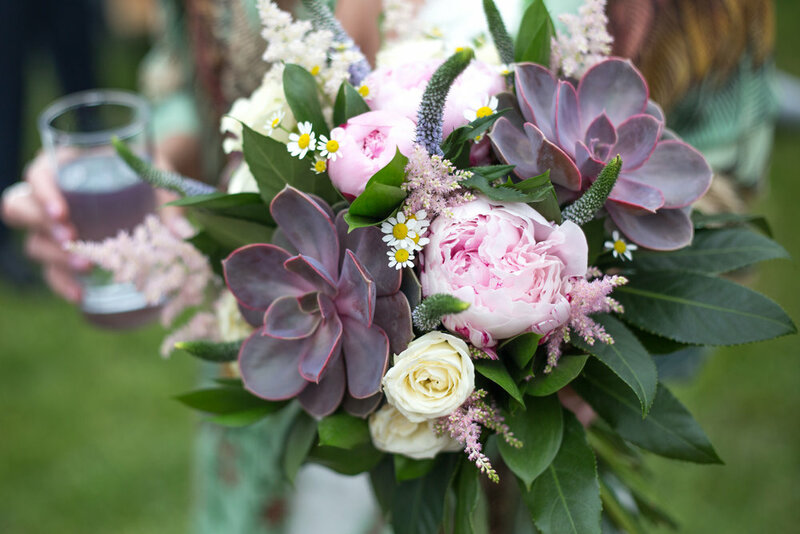 Make your own silk or felt flower bouquets, opt for succulents that you can pot and keep forever or donate your fresh flowers to those in need through Floral Angels. Food & drink – Go vegan, avoid disposable plastic tablewear, send guests home with doggy bags and work with suppliers that share your waste-free ethos. If you’re providing your own drinks, make sure your empties are all recycled too. Saf’s Kitchen (who do the most amazing vegan Indian street food) provide bamboo cutlery and palm leaf plates which are a great waste-free alternative if you’re not planning on hiring crockery. Dress – donate your dress to a charity like Wish For a Wedding (providing weddings to couples dealing with terminal illness), Cherished Gowns (providing funeral clothes for stillborn babies) or Brides Do Good (who raise money to end child marriage). Why have your dress gathering dust when it can make such a huge difference to other lives? Favours – I bet I’m not the only one who has accidentally abandoned my wedding favours in the past, so why not make a charitable donation to a meaningful cause on behalf of your guests instead? Or ask guests to take your wedding décor home as a favour – these could be candles, framed pictures, potted plants or beers! Confetti - please think carefully when it comes to confetti. Opt for biodegradable confetti or alternatives like bubbles, ribbons, rice, petals or leaves. Releasing lanterns or balloons may look nice but also has a terrible environmental impact of wildlife and the countryside so please do think about that too! Honeymooning – head to an eco-friendly hotel like Palm Forest in Palolem who are tackling pollution and reducing waste in Goa. They are plastic-free, have an amazing meat-free menu and use metal straws to align to their mission. They also offer yoga, ayavedic massages and even gong & didgeridoo sound healing sessions, so not only is it good for the environment, it’s good for you too! !